We're still trying to for a natural shade of green on our Easter eggs. We had some leftover cilantro in the refrigerator (I buy a bunch and don't use it fast enough), so I boiled it to create a muted olive green. 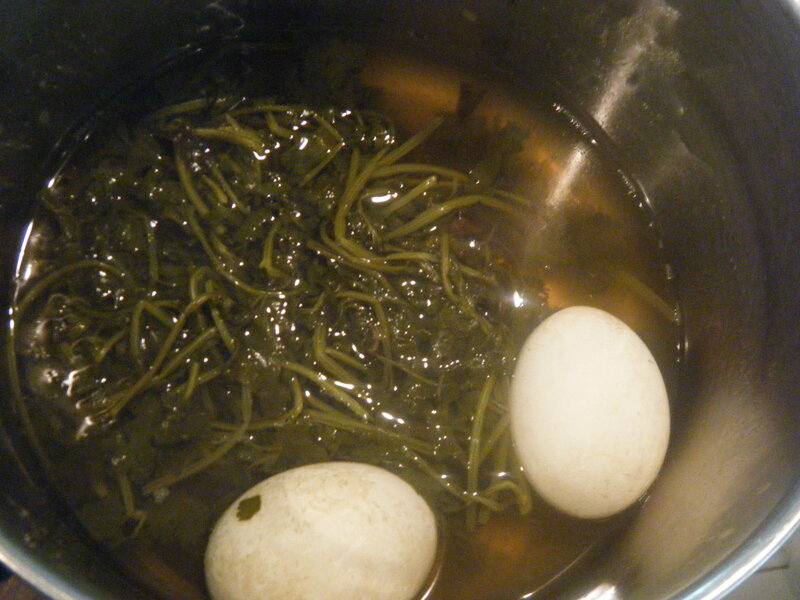 I boiled the eggs right in with the cilantro. I added a splash of vinegar into the pot to help the color hold better. 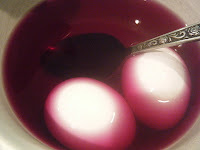 I also chopped up a bit of bright red cabbage and boiled it along with a couple of eggs. 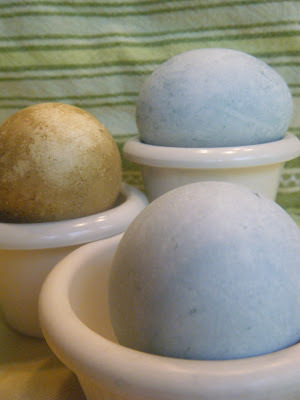 The eggs first turned a light purple, then developed into blue. 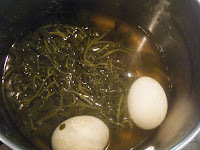 After the eggs had been hard-boiled, I continued to soak them in a bowl of the cabbage juice for more than an hour. The beet juice we used on our first attempt seems to be the easiest color to work with so far. It leaves a bright pink shade of color on the eggs. I've always heard to use brewed coffee and beet juice. Thanks for the tip.